No box office narrative this year has been as fascinating to observe as the shocking failure of Solo: A Star Wars Story. 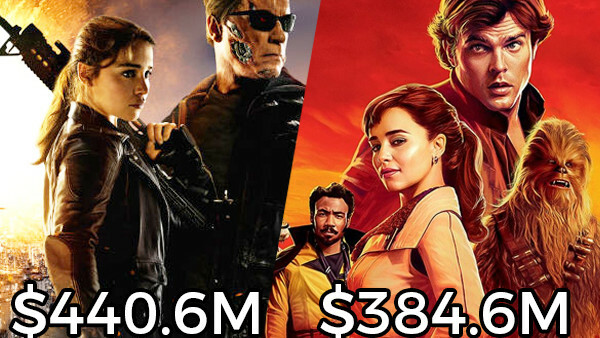 After almost two months on release, the sci-fi heist flick has grossed just $384.6 million as of this past weekend, likely ensuring it'll sputter out just south of the $400 million mark. It's an almost unimaginable failure for the seemingly indefatigable Star Wars franchise, and you need look no further than box office prediction threads from a few months ago to see just how confident people were in Solo succeeding. It didn't matter that audiences didn't really ask for a Han Solo prequel, it was Star Wars so it couldn't fail, right? Lucasfilm and Disney have reportedly been left reeling by Solo's under-performance, to the extent that they're currently "re-evaluating" the viability of other planned prequels such as those starring Obi-Wan and Boba Fett. And the concern is certainly justified, considering that Solo only passed the likes of G.I. Joe: Retaliation, Monsters Vs. Aliens, Live Free or Die Hard and Cars 3 at the worldwide box office in the last few days.